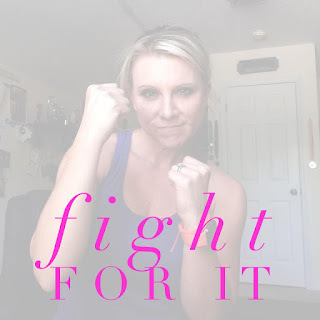 Jennifer Wood Fitness : Fight Song! During my workout this song came on and I had to fight back TEARS…. Like, for real. I wanted to stop and just CRY! Like ugly cry. I became overwhelm with this feeling of this is my fight song, this is what I’m fighting for. I am fighting to provide a life that is full of joy, love, peace, memories with my kids, my husband, a LEGACY I would be proud to leave behind. Fighting to empower women to change their lives and be around to see their grandkids, but more importantly to love themselves and ENJOY their lives instead of just existing. I am fighting to give back to the community. I’m fighting for the girl who I used to be and for the one I have become. I refuse to go back to that weak depressed girl who didn’t believe in herself. Who felt lost. Who had no direction in her life. Who just wanted to fit in, but never quite did. Fighting to provide a life where my husband doesn’t have to work a job that stresses him out and causes him physical pain and impacts who he is. Fighting to help other moms who are struggling to make ends meet finally have additional income to provide for their family, to stop living paycheck to paycheck, to take their kids on a vacation for the very first time — these are real stories — real lives that I have seen transformed because of the work I do. So, now as I type this and try not to cry, I just have so much passion to share that life doesn’t have to be so stressful and debt doesn’t have to control you. There is a way out. There are solutions. And if it’s not this business, there are lots of other companies you can work with to earn a supplemental income, but you have to be willing to FIGHT for it. FIGHT for the life you want and let go of that “It is what it is” attitude. Thats bull crap! Tonight I am meeting with a corporate executive from my company. ME, a regular hot mess mom who issues, who struggles daily, who is disorganized — do I need to go on! Lol smile emoticon I don’t have it all together. I don’t have a perfect “beach body” but I have HEART and PASSION and DETERMINATION. And it blows my mind that I have come this far, but It shows me that if I can do it ANYONE can. The feeling of accomplishment has been worth so much to me. To know I have made a difference and am leaving real tracks in the world! I have no words.